After a quick lie down to put a mattress to the test in the Highland Blindcraft showroom, I was soon happily completing a purchase in anticipation of comfortable nights to come. This is the way the very best social enterprises operate. They do not have to play the sympathy card. If products are of sufficiently high standard and being offered at a price which represents good value, then customers will happily part with their cash. People tend to think of social enterprise as a modern invention but that is not the case. A hundred and forty years ago the church concerned itself with making provision for blind parishioners. At that point a residential school was established in Inverness where people could come from all over the Highlands and Islands to learn how to read brail. Setting up a business to provide jobs for people with visual impairments was a natural progression and that is how Blindcraft started. Behind the showroom, workshops and offices are laid out over several storeys. Employees are hard at work assembling bases and sewing fabric covers. A guide dog rests in a basket situated in a corridor. He patiently awaits the end of the working day at which point he will help his master navigate the way home. 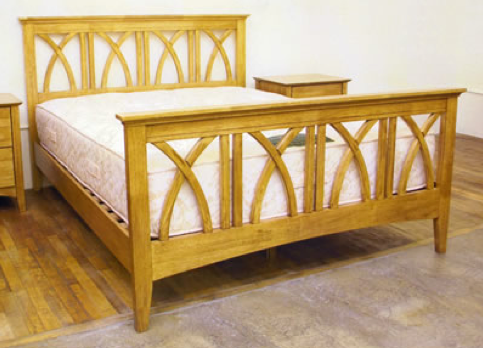 In order to make sure the business is sustainable in the long term the staff at Highland Blindcraft are happy to provide bespoke products such as an extra large ‘honeymoon’ bed for a luxury hotel and they are willing to take on large contracts in the private or public sectors. They are also looking to develop a high end mattress containing cashmere. 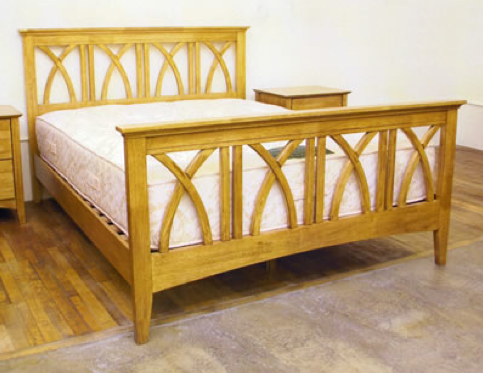 All the company’s products have a certain solidity and air of quality about them, a perception which is supported by customer feedback: “Customers come to us and say our beds have lasted 20 or 25 years,” Clark says. Music to my ears. I trust my outlay for a double mattress – including delivery – is money well spent.